Our portrait studio suggests planning an additional 30-45 minutes following your portrait session to view and order your family portraits. We offer a variety of portrait packages starting at $65.95, all of which can be customized. Prints sized 8 x 10 and smaller are ready to take home immediately and are printed on our professional lab-quality printer. 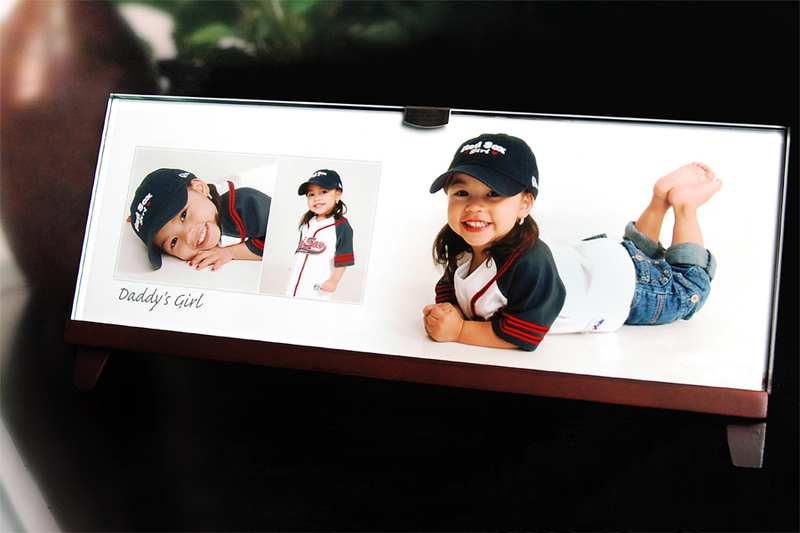 Additional products, such as wall enlargements and specialty products such as our popular custom-designed Portrait Art Collages, are also available for your baby or family photos. As a convenience to our clients, we offer online viewing and ordering. Please visit our Portraits Online section of the website for more information or to access your family portraits. We offer high resolution images of your baby photos or family portraits on CD or USB with copyright permission. If a purchase is made from your photo session, your images are kept on location for one year. Otherwise, they are kept for 30 days and then deleted. If you would like to place additional orders within the year after your session, please call to schedule a sales appointment.